The National Transportation Safety Board has issued a preliminary report into the P-51 Mustang crash at the Reno Air Races on Sept. 16th which left 11 people dead and 74 injured. Injuries: 11 Fatal, 66 Serious. On September 16, 2011, about 1626 Pacific daylight time, an experimental North America P-51D, N79111, impacted terrain following a loss of control while maneuvering at Reno Stead Airport, Reno, Nevada. 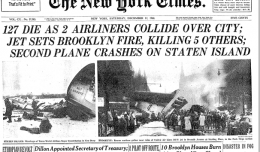 The airplane was registered to Aero-Trans Corp, Ocala, Florida, and operated by the pilot as Race 177 under the provisions of 14 Code of Federal Regulations Part 91. The commercial pilot sustained fatal injuries; the airplane sustained substantial damage. Casualties on the ground included 10 fatalities and 74 injured. As of the time of this preliminary report, eight of the injured remain hospitalized, some in critical condition. Visual meteorological conditions prevailed at the time of the accident, and no flight plan had been filed for the local air race flight, which departed from Reno Stead Airport about 10 minutes before the accident. The airplane was participating in the Reno National Championship Air Races in the last event of the day. 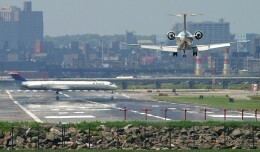 The airplane had completed several laps and was in a steep left turn towards the home pylon when, according to photographic evidence, the airplane suddenly banked momentarily to the left before banking to the right, turning away from the race course, and pitching to a steep nose-high attitude. Witnesses reported and photographic evidence indicates that a piece of the airframe separated during these maneuvers. After roll and pitch variations, the airplane descended in an extremely nose-low attitude and collided with the ground in the box seat area near the center of the grandstand seating area. Investigators from the National Transportation Safety Board (NTSB) and the Federal Aviation Administration examined the wreckage on site. They documented the debris field and identified various components of the airplane’s control system and control surfaces. The wreckage was removed to a secure storage facility for detailed examination at a later date. The airplane’s ground crew noted that the airplane had a telemetry system that broadcast data to a ground station as well as recorded it to a box on board the airplane. The crew provided the ground station telemetry data, which includes engine parameters and global positioning satellite system data to the NTSB for analysis. 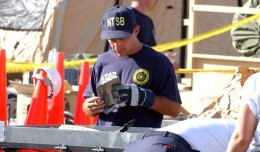 The onboard data box, which sustained crush damage, was sent to the NTSB’s Vehicle Recorder laboratory for examination. Investigators recovered pieces of a camera housing and multiple detached memory cards from the airplane’s onboard camera that were in the debris field. The memory cards and numerous still and video image recordings were also sent to the Vehicle Recorders laboratory for evaluation. 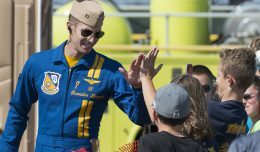 The Federal Aviation Administration and the Reno Air Race Association are parties to the investigation.